Never, ever, take anything purple to a Premier Inn. Hahaha! Or ... maybe just never stay at a Premier Inn ... ? I wanted to camouflage this comment, but Blogger wouldn't let me! Boo! They really are something, aren't they? When you see that in real life, it's actually quite unnerving. Maybe someone in one of those suits is watching us right now... Creepy. I wouldn't doubt it... Makes me want to keep my blinds shut haha. Sorry Ed but I'm terribly disappointed. 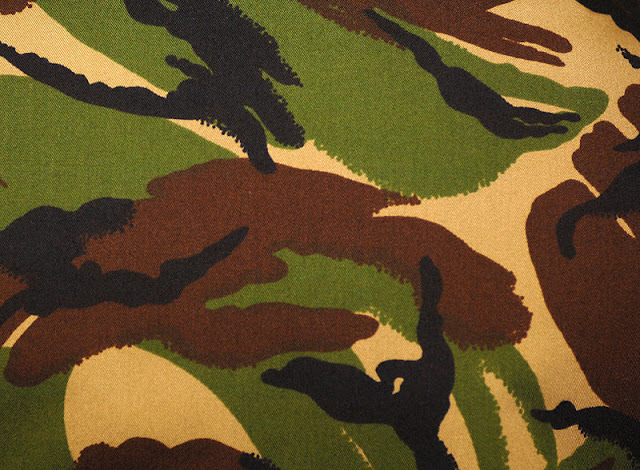 An entire post on camouflage on not a single mention of Stan Ridgeways' masterpiece. Boo! Well, that one was completely new to me - well worth a listen on YouTube. "If Charlie wants to tango now" ... lyric writing at its best.